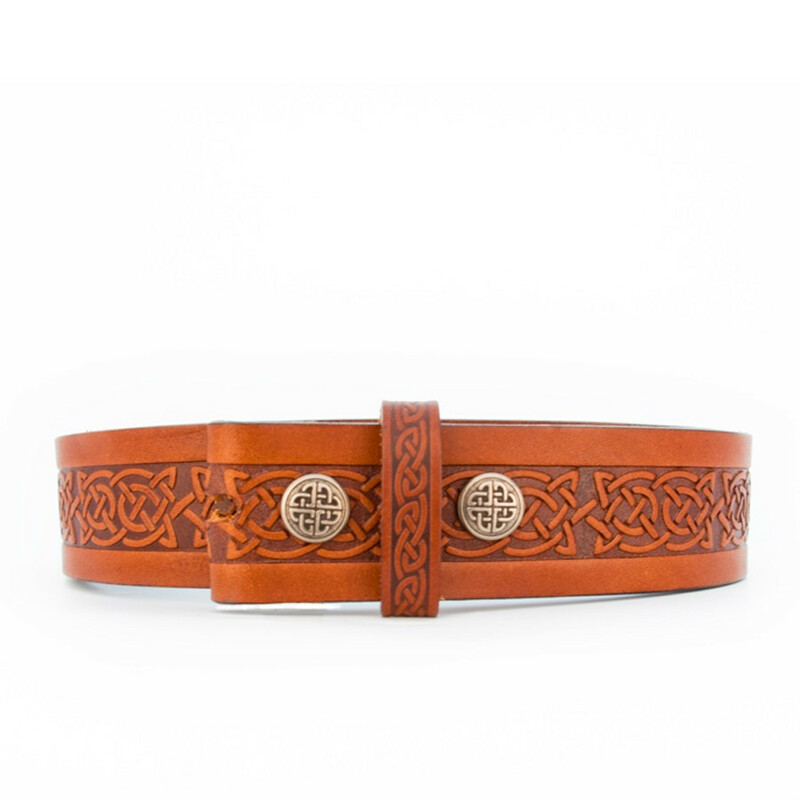 Unisex brown leather belt with interlaced celtic patterns. Unisex brown leather belt with interlaced celtic patterns. Two silvery buttons with celtic engravings add a decorative feature to this item. Belt sold without the buckle. Check the Advise tab for our size guide. Lee River Leather Goods has been created in 1985 but its founders have been crafting belts, bags and moccasins since 1969 for Kensington’s hip market in London. The company is today based in its home town of Cork, Ireland, the store and workshop being located alongside the Lee River, in the town’s old market area. The managers Peter & Simon love creating beautiful and robust products. They work with quality materials that get better with age. Their Lee River belts are available in various styles: classy, cool, retro or rebel.